What is a bone marrow? Why do some people need BMT treatment? Home / Blog / Bone Marrow Transplant / What is a bone marrow? Why do some people need bone marrow transplants? What is a bone marrow? Why do some people need bone marrow transplants? What do we mean by a Bone Marrow? Let’s see! When we say bone marrow, we mean the soft, yellowish, gelatinous component present inside the bone. Bone is a hard structure and it is of two types mainly, the spongy and the cortical bone. The spongy bone is comparatively less hard and contains the active form of red bone marrow. On the other hand, cortical bone is strong and dense. The red marrow consists of all the Myeloid cells and other precursor cells whereas the yellow bone marrow mainly consists of the fatty tissue. Its function is the formation and maturation of new blood cells in the body, which is our main concern for now. What are the diseases associated with the Bone Marrow? Bone marrow is a tissue which performs a number of important functions. It acts as a reserve for stem cells and as well as storage of fatty tissue. Any problem with this issue and it can directly affect the working of the body. Some of these diseases are genetic such as sickle cell anemia and thalassemia while the other is acquired such as aplastic anemia, myelodysplastic syndrome or polycythemia Vera etc. Generally, the bone marrow cancers can be both genetic and acquired as their exact cause is unknown. A transplant is a medical term in which a diseased organ or tissue in a patient is replaced with a healthy one. In case a bone marrow becomes diseased or cancerous, the patient is advised by the doctor to get a bone marrow transplant. It is a highly specialized and effective procedure to completely cure certain diseases, especially in children. In this procedure, the patient is transplanted with a new, healthy marrow to compensate for the earlier one’s inability to make new cells. Autologous Transplant: “Auto- means self”. The healthy tissue is obtained from the patient. This reduces any chances for rejection and other complications. It is usually done before and after the Chemotherapy treatment in cancer patients. Allogenic Transplant: In this case, the bone marrow is obtained from a donor with proper matching protocols and is inserted into the diseased individual. It is done in cases where the recipient’s bone marrow is completely compromised and cannot produce any healthy cells. Allogenic transplant poses a high risk of infection and chances of rejection. Syngeneic Transplant: It involves procuring the tissue from a healthy identical twin. How is Bone Marrow Transplant done? Due to successful results in treating various complex disorders and few risks involved, the bone marrow transplant is being done all over the world. The first step in any transplant procedure is “finding a suitable donor”. The patient is put on a transplant list and is matched with a donor with the same blood type, HLA and other antigens compatible. Also, all the blood relatives of the patients are checked to see if their marrow matches with the recipient. 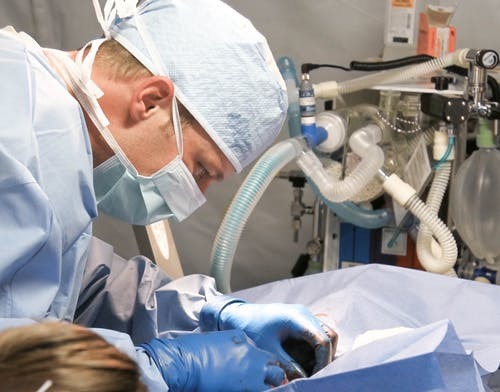 Once the donor is found, both the donor and the recipient undergo a surgery. The surgeon procures the marrow either from the sternum (breastbone) or the tibia in children. Before obtaining the tissue, the donor is given certain growth factors to promote the active proliferation of the cells. Once it is obtained, it is stored and processed to be infused into the recipient. The bone marrow transplant is a fairly safe procedure, but it sure does have a few risks. The risks associated with a transplant are an infection, rejection or failure and most importantly the “Graft vs Host Disease (GVD)”. 1) Q: Can bone marrow transplant cure both malignant and non-malignant cancers? A: Yes, both type of cancers can be treated with a bone marrow transplant. Some of the diseases which can be cured with BMT includes- acute leukemia, chronic leukemia, adrenoleukodystrophy, lymphomas, aplastic anemia, sickle cell anemia, neuroblastoma, multiple myeloma, and primary amyloidosis etc. 2) Q: Who can be considered as a donor for an allogeneic transplant? A: Any healthy person with closely matching stem cells can be considered as a donor. In this mainly related donors like parents and siblings are initially tested for a bone marrow match. 3) Q: Can umbilical cord blood bank help during bone marrow transplant? A: Yes, if you have already enrolled for the paid service of any cord blood bank for saving the umbilical cord of your newborn baby. Then you must reach out to them for saving any of your relative’s life if it is a close match with the patient’s stem cells.